Over the last few months I’ve been working on a new technology status site for Kenton City Schools. This site is hosted by Amazon Web Services, so it will be accessible even if our network, or WOCOs, or the state’s network isn’t functioning. I will still post issues to the kcstechalerts Twitter account, but if you don’t use Twitter, the new site will be of more use to you. 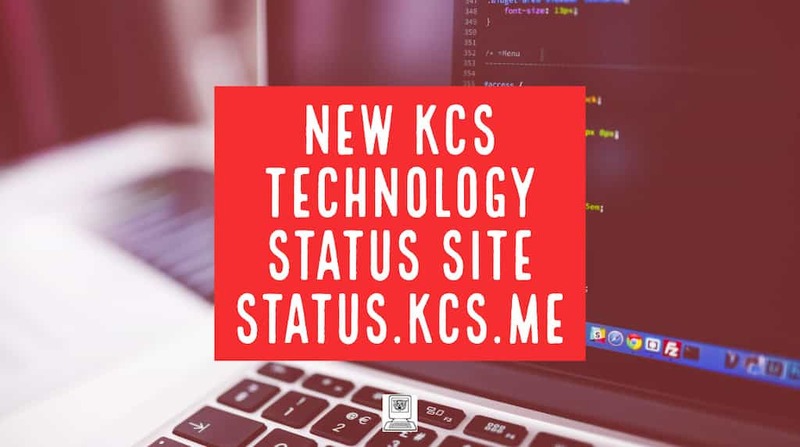 To view the site, navigate to status.kcs.me. 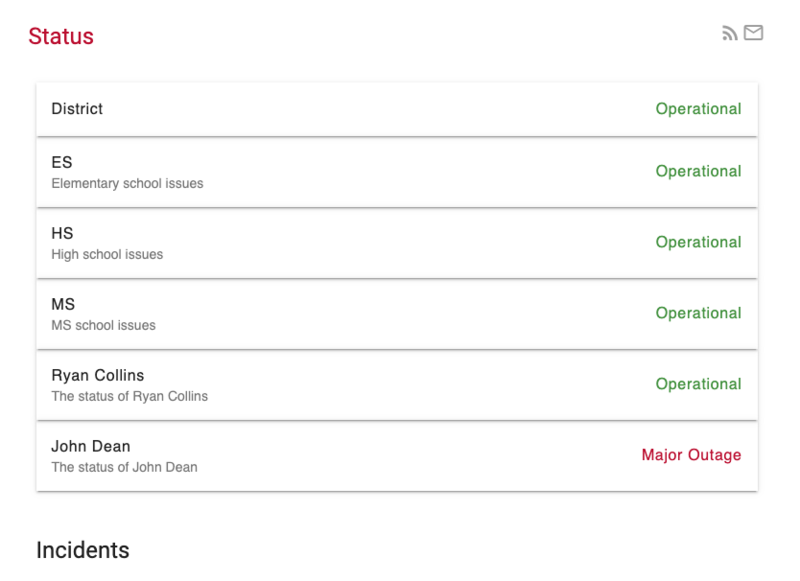 The top of the page will show the buildings, myself, and Mr. Dean with our current operational status. The bottom of the page will be a reverse chronological listing of past outages and issues. Scheduled maintenance will also show below the operational status. In the upper right is an envelope icon. Clicking it will allow you to enter your email address and get a notification when the status changes. The email alerts come from kcstechalerts@kentoncityschools.org, so you can set up notifications on your phone how you see fit. For example, if you are an iPhone user, you can add that address to your VIP list and get a notification when you receive email from that account. If you have an issue, please check the status site before submitting a help desk ticket. There’s a chance we’re already aware of the problem and are working to solve it. As the students learn to use their Chromebooks, they find the Chrome Webstore and start installing everything under the sun. Unfortunately, this can cause issues. To check what extensions are installed, and to remove the extensions having issues, first go to the Extensions screen. Click on the 3 dot menu, select More Tools -> Extensions. Extensions that are turned on have the slider switch in blue. When the slider switch is gray, that means the extension is turned off. Several extensions are installed by the tech department. Here is what the screens look like for those users. To remove an extension, click the Remove button. 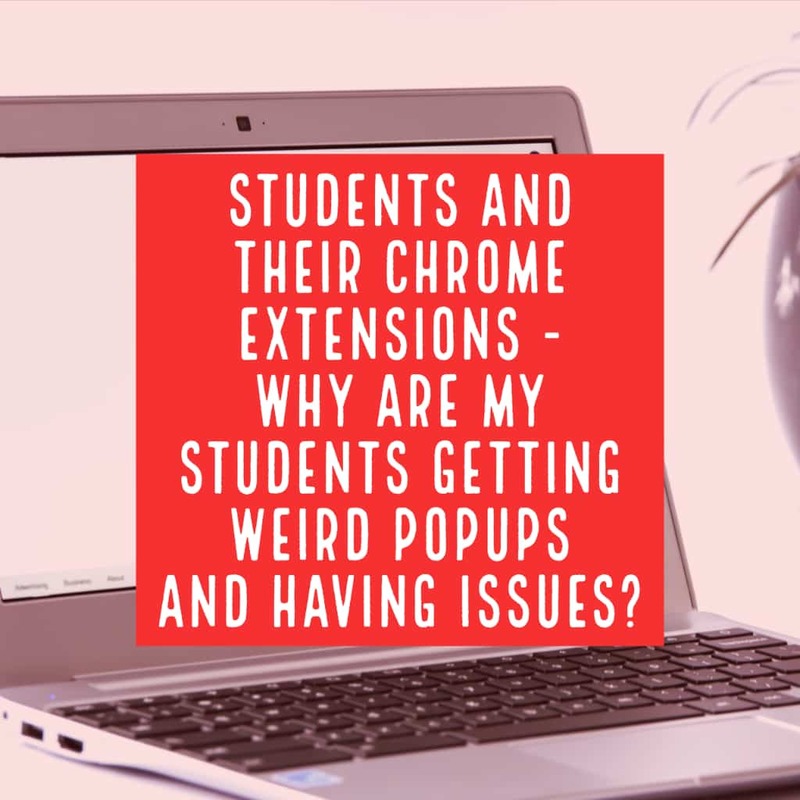 If a student is having issues, go through and remove all of the extensions that don’t match this list. That usually fixes the issues the student is having. If they continue to have issues, put in a help desk and we’ll check it out. Sometimes the only way to fix issues on a Chromebook is to powerwash it back to factory settings. This process removes all data from the laptop and sets it up like new. Most of your data will be already backed up to Google Drive, the exception is the Downloads folder. Anything in the Downloads folder on the laptop will be lost when the machine is powerwashed. For KCS Chromebooks, the Chromebook will still be enrolled in the Kenton City Schools Google domain, and still be controlled by the district. 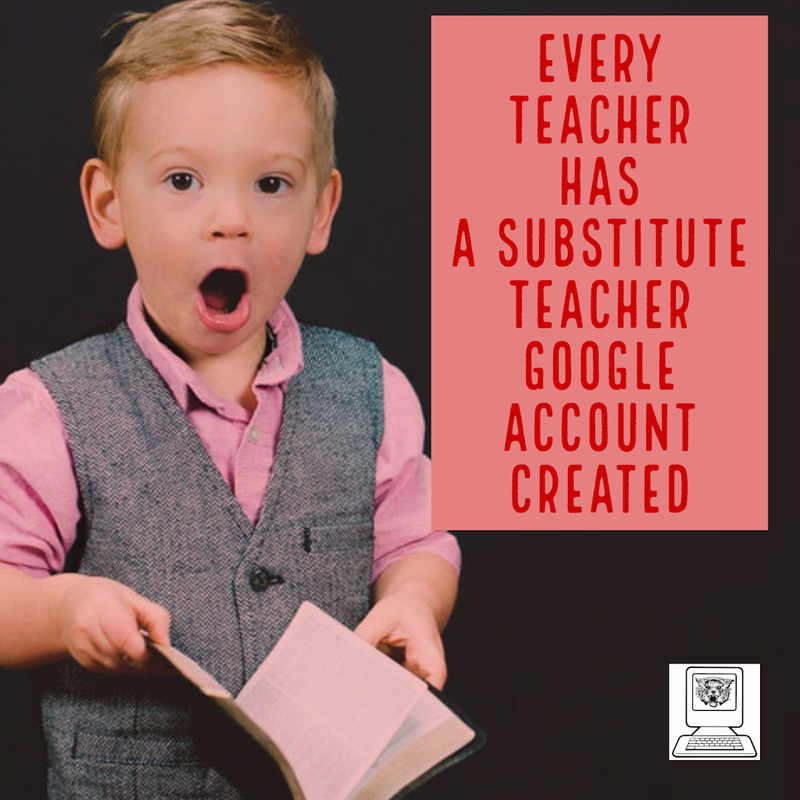 You will be required to sign in with an @kentoncityschools.org Google account. The following steps should be used under the direction of the Technology Department. If you have any questions, let us know! 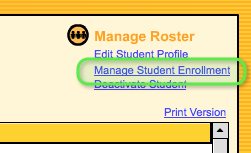 First, check that the student has been added to Student Achievement Manager (SAM). Sign in to SAM. On the left, click on your building and then your name. Look for the student’s name. A student’s username is all of the characters to the left of the @kentoncityschools.org of their email address. When the student is entering their username and password, check that there aren’t any spaces before or after their username and password. Is the student enrolled in any of the SAM products? I can automatically add the student to SAM, but I don’t know which products in SAM that they will be using. You will need to enroll the student in the products that the student will be using. 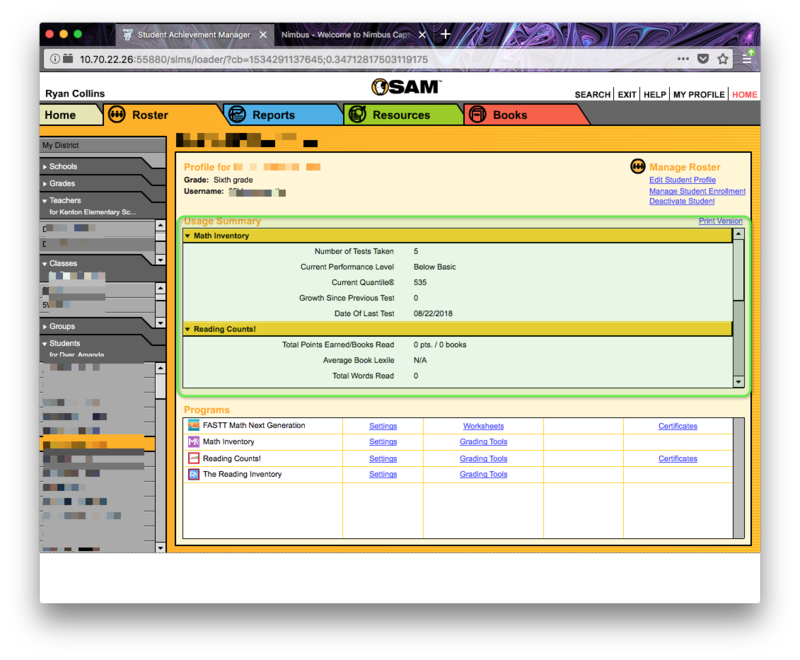 Find the student by using the navigation on the left in SAM. Click on your building, and then your name (under teachers). A list of students assigned to you will show up at the bottom. Find the student and double-click on their name. On the right, SAM will show the products in which the student is currently enrolled. 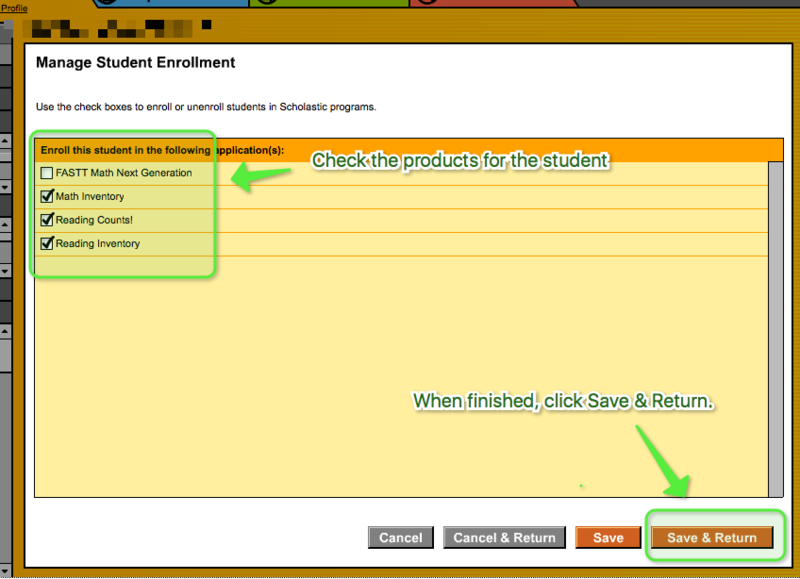 If the box is blank, or you want to verify the products, click on Manage Enrollment﻿ in the upper right. Click Save & Return﻿ when finished. The main website for Kenton City Schools is getting a makeover this summer. 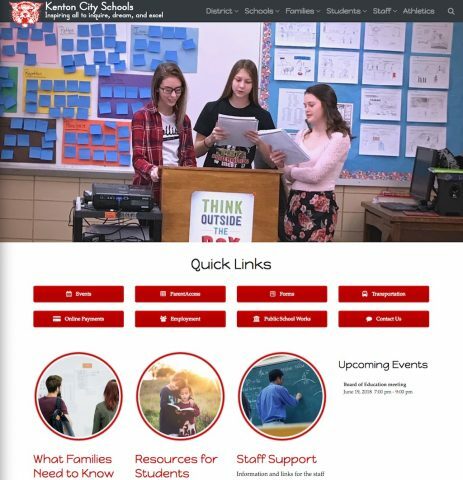 The new website is designed to be secure, fast, and responsive, with quick access to information for families, students, and staff. You can check it out now at https://beta.kentoncityschools.org/. 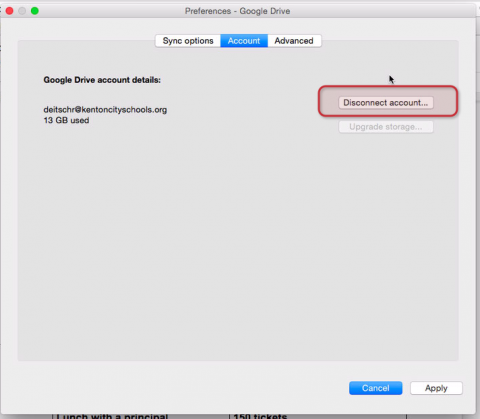 Here are the steps to switch to Google Drive File Stream. 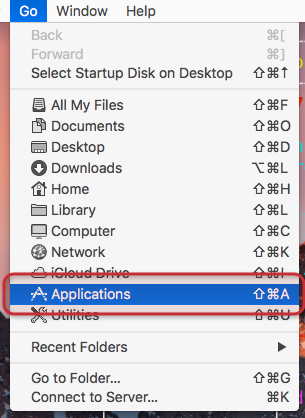 You will need to re-create any shortcuts you have made to your Dock or in the Finder windows to point to the new location in your Google Drive File Stream. Once completed, you will have the Google Drive icon on your Desktop. From there you can access/save files stored in Google Drive. 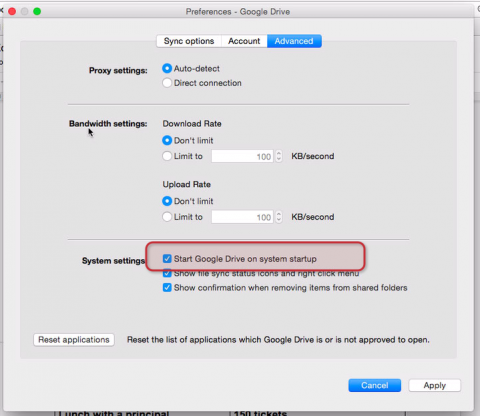 BE SURE YOU ARE USING GOOGLE DRIVE FILE STREAM FOR ALL OF YOUR FILES. DO NOT USE YOUR DESKTOP OR YOUR DOCUMENTS FOLDER TO STORE FILES. YOU WILL SUFFER DATA LOSS IF YOUR DRIVE FAILS. 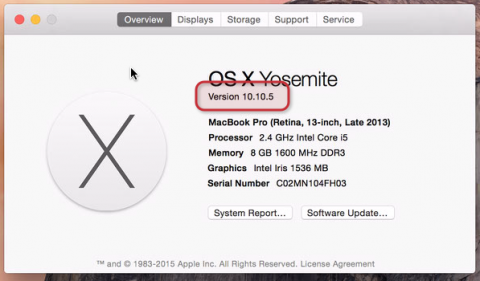 Check your laptop’s macOS version and upgrade if needed. 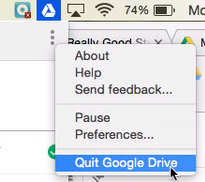 Turn off the old Google Drive App. Turn on Google Drive File Stream. 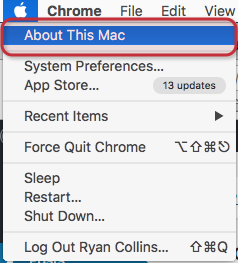 Log into your laptop, and access the About This Mac from the Apple Menu. Look at the version number. If it is 10.12 or higher, you are on the current macOS version for the district and can skip to step 2. THIS CAN TAKE AT LEAST 45 MINUTES TO COMPLETE AND HAS TO BE DONE AT SCHOOL! 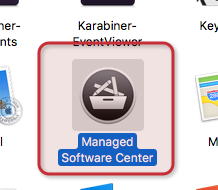 Find Managed Software Center and double click on it to open. Click on the + beside Install macOS Sierra (10.12). Click Update All. After the updates install, it may ask you to update again. Click the Upgrade button to start the macOS upgrade. Once the machine reboots, you can continue with step 2. 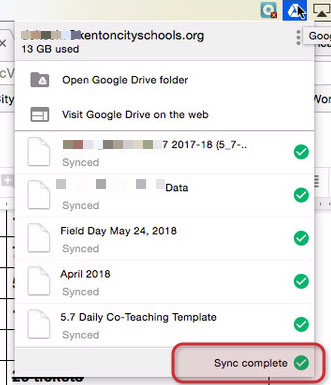 If you are not using the old Google Drive app, you can skip to step 3. The first step you will take is to make sure that Google Drive has synced all your files. Click on the Google Drive app icon in the menu bar. Look at the bottom right corner, it will say Sync Complete. Next, set Google Drive to not start when you log in. Click the three dot menu, and select preferences. Uncheck Start Google Drive on system startup. Now we need to disconnect Google Drive. Click on the Account tab. Click Discconect Account. Then confirm your choice. Click Disconnect. Finally, quit the Google Drive App. 3. Turn on Google Drive File Stream. If the machine needs you to logout and reboot, let it. Once updates are done, from the menu bar in the Finder, select Go -> Applications. 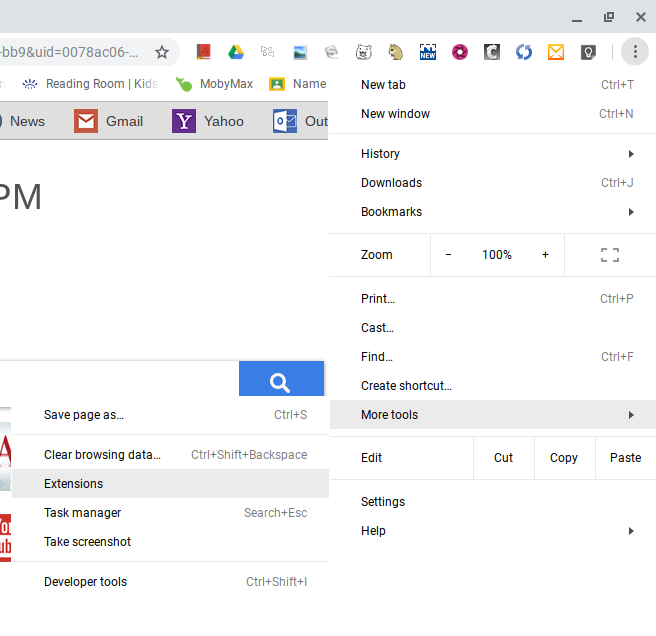 Find Google Drive File Stream and double click it to open. 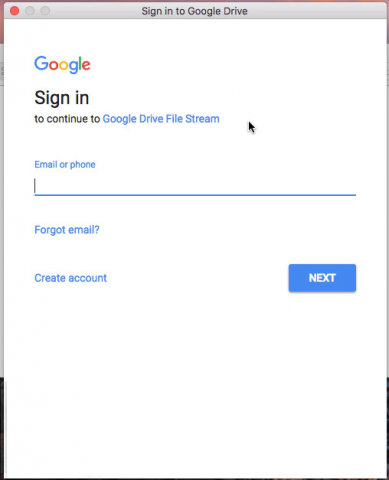 Sign in to Google Drive File Stream with your school account. Click through the 4 introduction slides. On the final slide, click Open Finder. 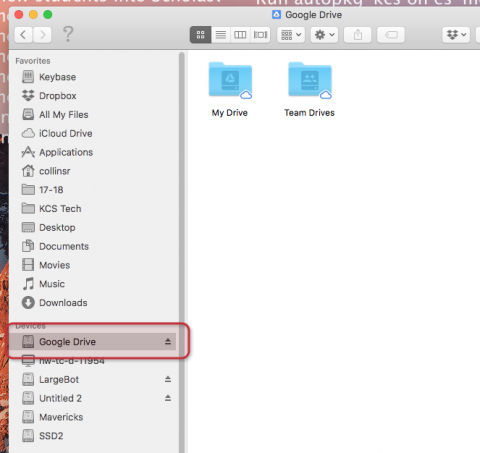 Google Drive will show in a Finder window. And you will also have a Google Drive icon on your desktop. Here’s a good overview of the differences between the old Google Drive app and the new Google Drive File Stream. We won’t be using Google Drive Backup & Sync. The end of the Google Drive app used to sync your Google Drive folder on your laptop to the cloud is near. It will stop working on Saturday, May 12th. Google has a replacement, Google Drive File Stream, which I’ve already written about. We will be sending out directions this week on moving to Google Drive File Stream. It is a three part process, one is to upgrade macOS on your laptop to 10.12, second is running the Google Drive File Stream app, and the third is logging out of the current Google Drive app. More directions will be posted this week. If you have any questions, feel free to email or send a help desk to helpdesk@kentoncityschools.org. 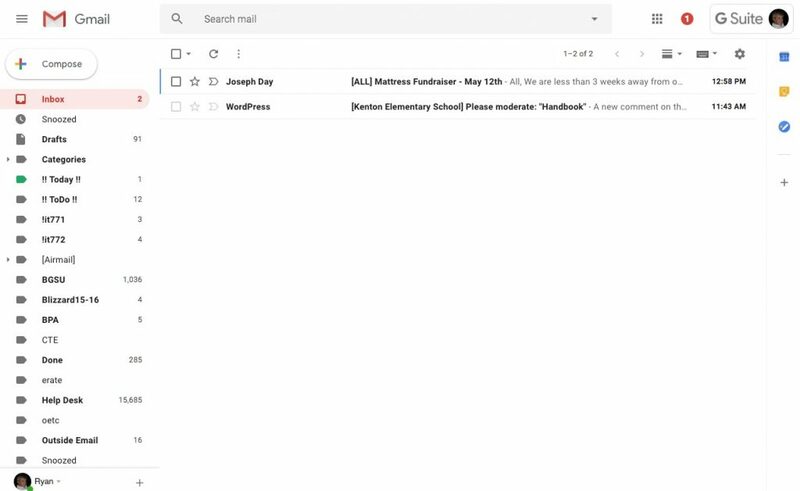 Google is rolling out a new look for Gmail, with new features. Besides the new look, there are a few new features that make working in Gmail pretty awesome. Emails may now be snoozed until a later time. This will remove the email from your inbox and make it pop back up at a later time. 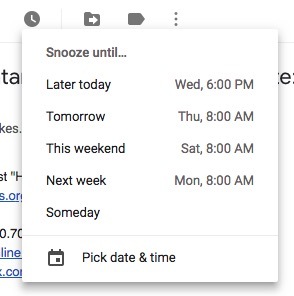 When a message is open, click on the clock icon to snooze the email. Click on the calendar icon on the right to show your calendar. Search your notes or create new notes by clicking on the Google Keep icon on the right. When you create a note with an email open a link to the email is included in the note. Gmail works better without an internet connection. From the gear menu in Gmail, click on Try the new Kenton City Schools Mail. On May 12th, the Google Drive app on the laptops and desktops will stop working. Before that happens, we will have moved you to Google Drive File Stream. Google Drive: Google’s cloud storage service. Files stored in the cloud and made accessible at https://drive.google.com. 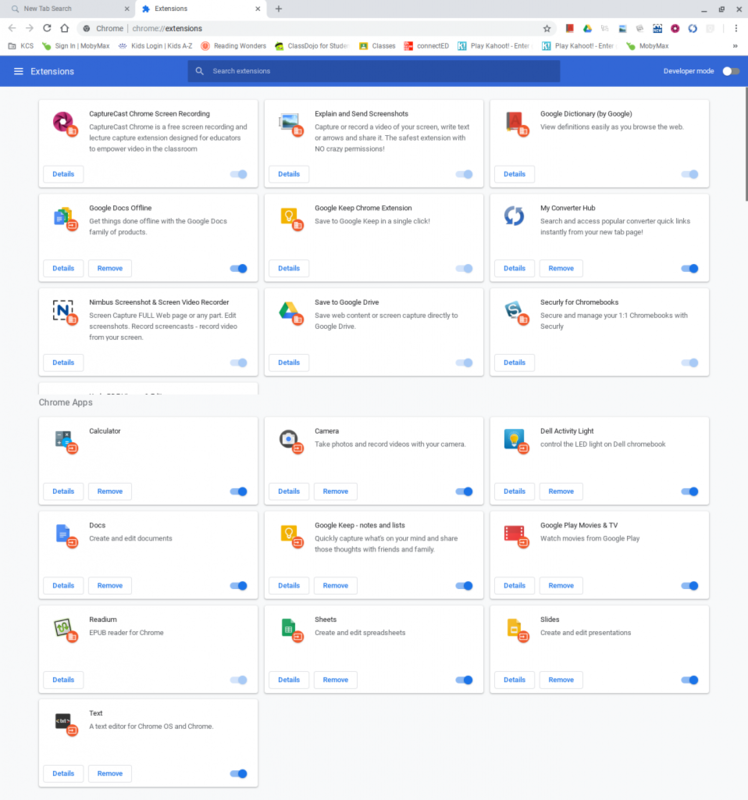 Google Drive App: This is an application that syncs the Google Drive cloud storage with a folder on your local machine. Anything saved in the folder is automatically uploaded to Google for safe keeping. This allows you to have back up copies made of your files for you automatically. You also have access to your files from any machine that has an internet connection. The Google Drive App is going away. Google Drive File Stream: Google’s replacement for the Google Drive App. The main difference is that Google Drive File Stream does not keep copies of everything on the local machine. It syncs the files that you are working with, and not everything. 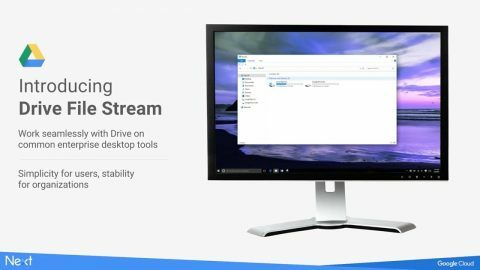 Also, Google Drive File Stream is a separate drive on your local machine, not a folder. The other difference is that Google Drive File Stream gives you access to Team Drives. By default, all of your files are synced to your local drive. This can be an issue if you are taking advantage of the unlimited space Google gives us in Google Drive. There is no access to files stored in Team Drives. With the Google Drive App, you interact with a folder. 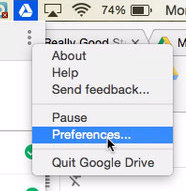 Google Drive File Stream uses a drive and on the Macs show an icon on the desktop. For Chromebook users, nothing changes. The technology department is currently working on procedures to help you switch to Google Drive File Stream. There will be an announcement when we’re ready for you to upgrade and switch to Google Drive File Stream.